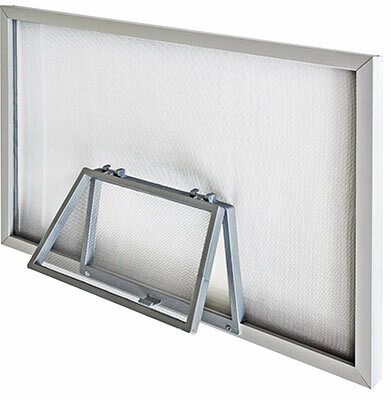 This type of screen is available in two colors: bright aluminum and charcoal. The have an 18 x 16 mesh size, and are rust- and corrosion-resistant. These screens come in two colors: gray and charcoal. They have an 18 x 16 mesh, and are fade-proof, rust-proof and dent-proof. 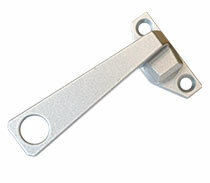 These screens allow access to handles and locks through inset windows or wickets. 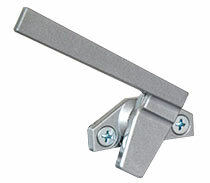 The screens are available in fiberglass or aluminum, and are installed using diecast clips. 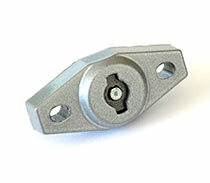 The wickets are plastic with a snap-tip latch, measure 10-1/8˝ x 6-1/8˝, and are available in gray or bronze. 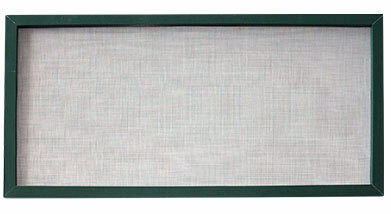 These screens are available in fiberglass or aluminum. They are installed with diecast clips.